Amplifikatörler 5 adet ürün var. P1000X1bd 1000 Watt Class-bd Mono Amplifier The Punch P1000X1bd mono amplifier pumps out 1,000 Watts into a 1-Ohm load. The Class-BD technology produces bass more efficiently over traditional amps, and its frequency response is optimized for subwoofers. 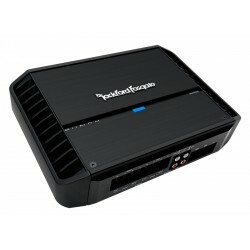 PBR300X4 300 Watt BRT Full-Range 4-Channel Amplifier The Punch PBR300X4 is a 300 Watt full-range amp designed for compact systems. This efficient amp packs a Punch in motorcycles, ATVs and hybrid-electric vehicles without sucking a lot of juice from your electrical system. 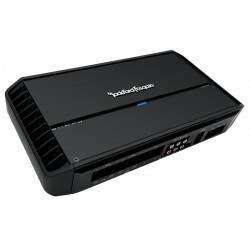 P400X4 400 Watt 4-Channel Amplifier The Punch P400X4 is a 4-channel amplifier producing 100 Watts into all four channels at 2-Ohm. The P400X4 is perfect for a 4-way full-range system or a 3-way system having a front stage with subwoofers on the rear channels. 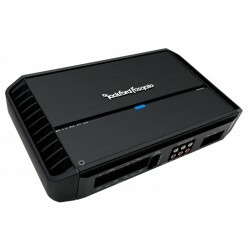 P600X4 600 Watt 4-Channel Amplifier The Punch P600X4 is a 4-channel amplifier producing 150 Watts into all four channels at 2-Ohm. The P600X4 is perfect for a 4-way full-range system or a 3-way system having a front stage with subwoofers on the rear channels. 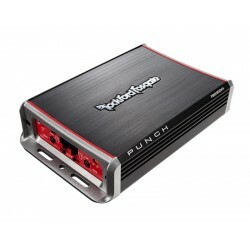 P1000X5 1,000 Watt Class-BD 5-Channel Amplifier The Punch P1000X5 is an ultra-efficient 5-channel amplifier capable of running your entire system without excessive drain on your charging system. The P1000X5 is perfect for running a front/rear system and a dedicated subwoofer.